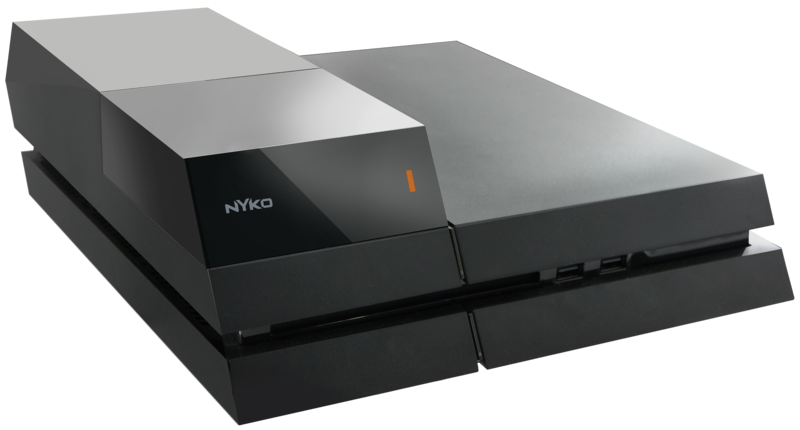 LOS ANGELES – June 11, 2015 – Nyko Technologies today announced the release of the highly-anticipated Data Bank for PlayStation 4, a hard drive dock that enables users to upgrade their console memory capacity from the PS4’s standard 2.5” hard drive to cheaper, higher-capacity 3.5” hard drives. The Data Bank is available now at GameStop, Amazon, and other select retailers for $39.99. As the PlayStation 4 does not presently support game installs or save data on external hard drives, the Data Bank enables users to expand their storage beyond the limits of 2.5” drives currently compatible with the console. This ultimately lets users leverage the larger storage, faster running speeds, and lower prices of 3.5” drives. The Data Bank for PS4 replaces the top of the console and its existing hard drive with a simple single-screw installation, and seamlessly matches the minimalist design of the PlayStation 4. A built-in LED strip illuminates whenever the console is accessing its memory. 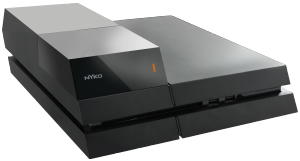 To purchase any product from Nyko’s full lineup of video game accessories for all current and previous generation consoles, visit the online store at www.nyko.com.